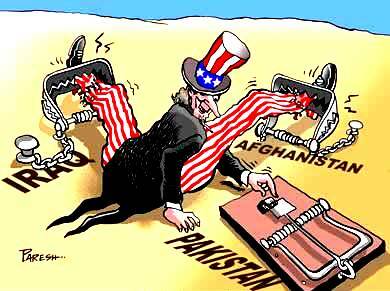 The US-India-Afghan government (govt) nexus has been the root cause of Afghan instability. While the US initiated war on terror in October 2001 to defeat and eliminate terrorism from the face of the earth, and utterly failed to do so, the trio has also been outwardly pleading for peace since 2011 when force failed to cow down the Taliban. Pakistan has been the biggest victim of instability in Afghanistan which started in December 1979 with its occupation by former Soviet Union. Pakistan has taken the brunt of Kalashnikov and drug cultures, sectarianism, religious extremism, and now terrorism ignited by foreign sponsored TTP, Baloch rebel groups and MQM. The US and its puppet govt of Karzai which ruled Afghanistan for 14 years at a stretch, followed by current unity govt of Ashraf Ghani and Dr. Abdullah have been constantly blaming Pakistan for their failures and has been pressuring Pakistan to convince the Taliban to come to the negotiating table for talks and work out a political settlement so as to end the war in Afghanistan and restore much needed peace. From 2002 till 2009, the US held Al-Qaeda, allegedly based in FATA responsible for stoking terrorism in Afghanistan and pushed Pakistan to deal with it. Between 2009 and 2014, the ISAF unceasingly complained that Pakistan was responsible for militancy in Afghanistan. Sirajuddin Haqqani led group based in North Waziristan (NW), which the US named as Haqqani Network (HN), was their main target. Pakistan’s military was accused of harboring and supporting HN. Admiral Mike Mullen went to the extent of saying that the HN was the strategic arm of ISI. Gen Petraeus stated in 2011 that it will not launch the grand offensive against Kandahar until and unless the NW safe haven was eliminated. The ISAF comprising Army contingents from 48 countries including 28 from NATO, and 260,000 ANSF duly trained and equipped by the US-NATO instructors kept losing battles and ceded control over 80% Afghan territory to the Taliban. Pakistan Army on the other hand single handedly and with meagre resources kept winning battles against foreign supported TTP from 2009 onwards and by end 2014 recaptured all the 18 administrative units in the northwest that were in control of TTP and its affiliates. The most difficult operations were against Swat, Bajaur South Waziristan (SW) and NW. The Operation Zarb-e-Azb launched against the last and strongest bastion of TTP in NW that by then had brought over 50 militant groups under its wings was launched in June 2014 and by May 20, 2016 the whole of tribal agency including the treacherous Shawal Valley, right up to zero line on Afghan border, was cleared and writ of state fully established. Theses victories were not easy; security forces suffered over 6000 fatalities and injuries to thousands to fight and oust the most hardy and valorous fighters in the world and that too on their home ground. Pakistan Army’s feats stunned the whole world and was heaped with praises. Pak Army was rated as the best Army and Gen Raheel Shareef the best commander among the top ten of the world. What had surprised the world was that while on one hand the US led ISAF with abundance of resources and high technology had utterly failed to defeat rag-tag Afghan Taliban, Pak Army and paramilitary forces managed to rein in terrorism after clearing FATA of the bases, network, and command & communication centres of terrorists. Their feat became all the more impressive because of the well-known fact that the TTP was fully funded, armed, equipped by foreign agencies and was even provided intelligence and sanctuaries in Afghanistan. The ISAF made no contributions towards Operation Rah-e-Nijat in SW and Operation Zarb-e-Azb in NW in accordance with the agreed upon policy of anvil and hammer. It never provided the anvil across the Durand Line by establishing check posts and getting hold of the fleeing terrorists into Afghanistan. Rather they were facilitated to establish bases in Kunar, Nuristan, Nangarhar and Khost to carryout cross border terrorism against Pakistan under the direct supervision of RAW and NDS. While Pak security forces kept hoisting victory flags one after the other and never encountered a failure and kept up the momentum with utmost zeal and efficiency, the ISAF and ANSF remained webbed in multiple problems. These ranged from Post Stress Disorder (PST), to suicides, discipline, green-over-blue attacks, drug addiction, homesickness, demoralization from 2011 onwards. Reason put forward was that foreign troops had been recycled two to three times in war zones. They forgot that every unit in Pak army has been recycled for three to four times and the pay a soldier draws when compared with US-NATO soldier is peanuts. The later draws $7,500 per month salary and gets cooked hot food flown from Dubai daily. There has been no case of suicide or PST in Pak Army. Finding that the 130, 000 string ISAF cannot defeat the Taliban despite having used massive force, inhuman torture and trickery to divide and weaken Taliban, the US had to quit in December because of mounting home pressure and heavy burden on economy. It has left behind a huge mess. It could not achieve any of the stated or hidden objectives for which it come and spent billions of dollars. Before departing, it propped up a unity govt of two chief antagonists Ashraf Ghani and Dr. Abdullah, handed over security to ANSF and left behind a Resolute Force Group (RSG) of 12000 troops essentially meant to train ISAF, extend technical assistance and air support, and to fight Al-Qaeda only. As per bilateral security agreement signed between Kabul and Washington, the RSG was to stay put in 8 military bases till December 2016 and was to be reduced to half in December 2015. The need for the RSG was felt because of utterly weak position of unity govt engaged in power tussle, poor governance and weaknesses of ANSF that were not fit enough to take on Taliban change at their own. The US knew that without its military backing and $8.1 billion aid package, the unity govt will fall and ANSF will splinter within a year of ISAF departure and Taliban would takeover. As is known, the US had begun to acknowledge the strength of Taliban by 2010 and in 2011 it had initiated a political prong to engage Taliban. A political office was opened at Doha in June 2014. To appease Taliban, Obama declared that they were insurgents fighting for their rights and not terrorists. The RSG was also mandated to fight Al-Qaeda only. Efforts had been made to win over HN but when Siraj refused to Part Company with Mullah Omar, HN was declared a terrorist outfit. 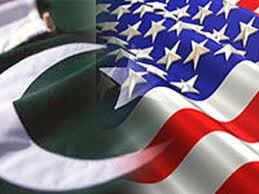 With regard to its policy on Pakistan, the US has all along opposed peace talks with TTP. It has been making use of drones as a choice weapon in Af-Pak region. Shamsi airbase remained in use of CIA till December 2011. So far 391 drone attacks have been carried out, mostly in FATA and bulk in Waziristan. Four strikes were launched in settled areas of Khyber Pakhunkhwa. No drone attack came in Baluchistan. Several key Al-Qaeda leaders and TTP leaders have been droned to death. These include Nek Muhammad, Baitullah Mehsud, Mullah Nazir and Hakimullah Mehsud. They were killed when they got inclined to sign peace deal. Drone attacks have watered down after commencement of Operation Zarb-e-Azb. The most recent drone strike was conducted in Baluchistan on May 21, 2016. It was claimed by the US that in all probability Afghan Taliban head Mullah Akhtar Mansour with his driver had been killed near Chaghi in Noshki district close to Afghan border while he was on his way in a hired jeep from Taftan. His death is still to be confirmed since the papers show him as Wali Muhammad from Qila Abdullah. John Kerry informed PM Nawaz and Army Chief after the attack. Not only the attack is sheer violation of Pakistan’s sovereignty since the target was hit 40 km inside Pak territory, it has derailed ongoing quadrilateral peace talks for good. While Pakistan has protested strongly, Kabul has expressed glee. Pakistan might have taken a sigh of relief had when most wanted terrorists Maulana Fazlullah and Khalid Khurasani had been droned, who are enjoying complete freedom of action right under the nose of the US and Afghan authorities in Afghanistan. The question being asked is as to why the US targeted Mullah Mansour when it was all this time making efforts to hold peace talks and blaming Pakistan for not doing enough in this regard. This act has once again laid bare the evil intentions of the US and its double game it has been playing in this region since 2002. It has also exposed the intentions of Afghan govt which is a puppet in the hands of the US and India. Following in the footsteps of ISAF and Karzai government, the unity government after a brief spell of friendship with Pakistan which stretched from November 2014 to June 2015, Ashraf Ghani changed his course and started speaking the language of Karzai and the US. It is singing the old tunes and blaming Pakistan for all its failures. It is making allegations even after Pak Army snatched its trump card of HN by pushing it out of NW. This bold act was acclaimed by both Kabul and Washington. Trouble started when peace talks were deliberately disrupted by the spoilers in July 2015 and water was poured on hard work of Pakistan. The latter had with difficulty convinced Mullah Mansour, the defacto commander since 2013, and other important Taliban leaders to attend July 7 peace talks at Murree which was attended by representatives of the US and China as observers. Next meeting was scheduled on July 31 at the same venue and that would have made a headway towards a political settlement. The spoilers led by India thought that a breakthrough in talks brokered and managed by Pakistan will prove highly detrimental for Northern Alliance and the US interests and will make the position of Pakistan and Taliban strong. Based on this self-assumed hypothesis, the spoilers initiated the story of death of Mullah Omar on July 30. They thus achieved their sinister objectives of scuttling peace talks, spoiling Pak-Afghan relations and dividing Taliban. By making Mullah Mansour controversial and pitching several Taliban leaders against him they thought it would be easier to bring them to negotiating table and talk to them from position of strength. Their ill-intentioned plan backfired and Mullah Mansour not only refused to take part in peace talks unless his demands were made but also demonstrated his strength by achieving series of victories on the battlefield. 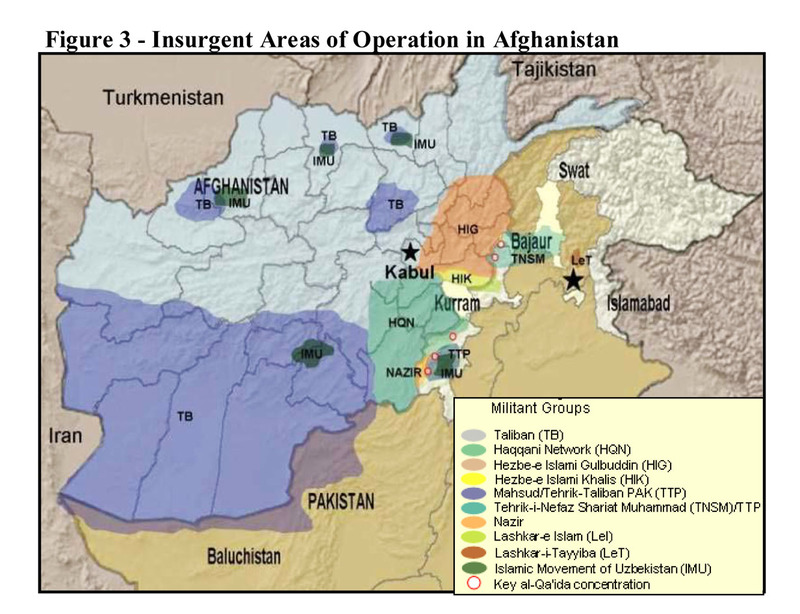 In concert with IMU, the Taliban made gains in Northern Afghanistan including Kunduz, Helmand province in southern Afghanistan and attacked Kabul and Bagram airbase. While son of Mullah Omar Mullah Muhammad Yaqub and brother of Omar, Mullah Manan reconciled with Mansour, Mullah Ghulam Rasool has not reconciled but is in hiding and has insignificant following. It was owing to continued Taliban offensive that the need for Pakistan’s support was once again felt by the US as well as the unity govt. Quadrilateral talks were initiated which comprised of members from the US, China, Pakistan and Afghanistan. No headway could be made because of the absence of Taliban that had put forward fulfilment of their demands as a precondition to take part in talks. These were: a. Putting Taliban leaders off the UN/US terrorist lists. b. Unfreezing their accounts abroad. c. Removing restrictions on travelling. d. Freeing their prisoners. f. Giving cutout date of withdrawal of foreign forces, and lastly, tailoring Afghan constitution in accordance with Sharia. More importantly, they didn’t want to talk to unity govt which in their view was helpless and a puppet of the US. Not a single demand has been met which indicates their insincerity. The deadly Taliban attack on Kabul in last April shook the RSG, Unity govt, ANA and NDS. Not knowing what to do, they found Pakistan as a convenient scapegoat and put the whole blame on Pakistan. For the achievement of momentary relief from their pains, HN was again described as the most deadly outfit and Pakistan was blamed for not doing enough to crack it up. In their view HN is still using Angoor Adda as a crossing point in SW to strike targets in Afghanistan. They ignore the fact that HN has since long made Khost, Paktia, Paktika as forward bases from where it is striking targets all over Afghanistan. Pakistan was also blamed for not playing its part in convincing the Taliban and bringing them to negotiating table. Ignoring that they had disrupted peace talks, they don’t agree with Pakistan’s stance that it cannot twist the arm of Taliban. They do not agree that while Pakistan has gone out of the way to address Kabul’s anxieties and security concerns, and has taken practical measures to manage the porous border, the other side has not. Over 3 million Afghan refugees which have become a major security hazard are not being accommodated by Kabul. It is creating hurdles in the way of fencing of critical points along the border. Control of Angoor Adda crossing point has been handed over to Afghan Army as an appeasement measure. On Pakistan’s persistent pressure, Taliban had relented and were getting inclined for talks. The unpopular unity govt instead of inducing and appeasing the Taliban recently hanged six Taliban prisoners to death and one of the sons of Jalaluddin Haqqani, Ans Haqqani is on death row. Indian military is now actively supporting ANA in its fight against the Taliban. Daesh is being secretly strengthened at Nangarhar and married up with TTP runaway leaders by RAW to use it against irreconcilable Taliban and against Pakistan. The other development upon which both Kabul and Washington are feeling upbeat is the patch up with Gulbadin Hikmatyar. His eleven demands have been met. The US after expressing its satisfaction and appreciation for some months has reverted to its ‘do more’ mantra and is now openly browbeating Pakistan. It is espousing the stance of Kabul and is blaming Pakistan for not doing enough against HN and in bringing Taliban to the negotiating table. It wants Pakistan to fight Afghan Taliban in the same manner it has been doing against TTP. This is in contravention to its official stance that dialogue and not force will restore peace. Other grouses of Washington against Pakistan are tactical nukes, release of Dr Shakil Afridi who had helped in locating Osama bin Laden’s family residence in Abbottabad through his false polio campaign. In Pakistan’s eye Afridi is a traitor but the US consider him a hero. If it is true that Mullah Mansour has died, it is to be ascertained whether he had undertaken a journey from Taftan since Iran has denied it. If so, did he have a connection with Iran and since how long and what was the level of cooperation. Is it that he didn’t measure up to the expectations of Iran and he was given up to please Afghan Northern Alliance and USA? Or were it RAW tentacles that had passed on the information to Washington? It is no secret that Iran has been maintaining secret contacts with Taliban and supplying weapons to them. Reportedly, Taliban have an office in Mashad. (Wall Street Journal report). If the US had gathered the information, why did it allow him to travel a long way well inside Pak territory and then kill him and why not inside Iran or on Iran-Pakistan border? Why Washington is once again trying to embarrass Pakistan govt and Army chief, as it had done in May 2011, by asserting that the two had been informed before the attack? Does Washington, Kabul, Delhi think that his death will result in serious leadership crisis, permanent divisions within rank and file of Taliban movement, and it will be much easier to bring the reconcilable to the negotiating table and making them agree to their dictated power sharing formula, while isolating and destroying the irreconcilable with ease? Will this act restore peace in war torn Afghanistan? These assumptions in my view are presumptuous and at best wishful. In all probability, Mansour’s death will not break the Taliban movement. Taliban Rahbari Shura is already in a meeting to elect the new Ameer and five names are under active consideration. Mulla Yaqub, Sirajuddin and Qayyum Zakir are the top contenders. Within next 24 to 48 hours the successor will be announced who will carry forward the baton as had happened after July 31, 2015. This time, the Taliban under new leader will renew ongoing spring offensive with utmost ferocity and in the process Afghans will suffer a lot. The period from June to November will be critical. It is still to be seen how Hikmatyar plays his cards. Will he join the unity govt and pick up fight with the Taliban? I have my doubts. What is confirmed is that chances of peace returning to Af-Pak region have been blown to pieces and it will remain turbulent for decades as already predicted by Obama. As long as India remains in Afghanistan and US maintains its interest in Afghanistan, peace will remain an elusive dream. What will now be the stance of Pakistan government? Will it continue to follow its self-defeating policy of appeasement and be contented with a protest against the US intrusion? When will our policy makers define our national interests and accordingly formulate our national, foreign, defence and media policies which guard our core interests and self-esteem of the nation? When will we differentiate between friend and foe and pick up moral courage to take a firm stand against all those inside and outside Pakistan working against national interests? Why are we so apologetic and defensive on the issue of peace talks? If the US, Northern Alliance and India want a regime of their choice in Kabul, why not Pakistan that has paid the heaviest price and has suffered the most on account of pro-India regimes in Kabul? Pakistan’s adversaries are India, pro-India Afghan regime, double dealing USA, Israel, TTP, BLA, BRA, BLF and not Afghan Taliban whom Pakistan ditched in 2001 and yet it never picked up arms against Pakistan. Even MQM is an adversary since it is on payroll of RAW. These countries and groups have taken the lives of 60,000 Pakistanis and caused a financial loss of $ 107 billion. Why can’t our leaders comprehend that the US is arming India to teeth so as to pulverize Pakistan? Why can’t our leaders understand that terrorism was a ruse to capture the resources of the Muslims and neo colonise them? Terrorism is being stoked by USA, Israel and India. 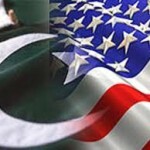 The history of Pakistan’s relations with United States of America shows that since the signing of the ‘Mutual Defense Assistance Agreement’ on May 19, 1954 and the signing of ‘Mutual Security: Defense Support Assistance Agreement” on January 11, 1955 Pakistan has not violated any provision of these Agreements and has been an honest ally of USA. The US on the other hand has time and again acted directly against Pakistan’s interests. 2) In October 1962 US sent George Ball (Under Secretary of State) to Pakistan along with Duncan Sandys (Minister Commonwealth Relations UK) and put pressure on President Ayub to stop the planned military action by Azad Kashmir Army to capture Akhnur thus cutting off land route of Kashmir with India. (At that time India was being badly mauled in its war with China). 3) In 1965 US placed an embargo on arms sales to Pakistan and choose not to provide Pakistan with military support as pledged in the 1959 Agreement of Cooperation. 4) In April 1979 the United States suspended all economic assistance to Pakistan over concerns about Pakistan’s nuclear program. 5) It may be noted that Military sales and economic aid was resumed in 1981 after the Soviet invasion of Afghanistan in December 1979. On October 1, 1990 US again suspended all military sales and economic assistance by applying the Pressler Amendment. Furthermore it totally abandoned Afghanistan and even closed its Embassy in Kabul. 6) In May 1998 when India conducted Nuclear tests USA put pressure on Pakistan not to conduct nuclear tests and when Pakistan went ahead and carried out nuclear tests USA imposed stringent economic sanctions on Pakistan. After the demolishing of the World Trade Centre on 11, September 2001 Musharraf naively in his Commando bravado made verbal agreements with US and provided military bases, flight corridors, cooperation with CIA to arrest and hand-over Al-Qaeda operatives, induction of US troops in Pakistan ostensibly for training, transport of provisions through Pakistan for US forces in Afghanistan etc. In fact he should have let the Foreign Office to do the negotiation which was headed by Raiz Khokar an experienced and able Foreign Secretary. USA has been fighting in Afghanistan since October 2001 now almost thirteen years, the longest war in their history. There are over 130,000 US and allied troops in Afghanistan. This is no different from Soviet Union which had about the same number of troops and after nine years threw in the towel and left Afghanistan in February 1989. The US and its allies are in the same situation and have finally decided to leave by the end of this year. However instead of accepting their failure they continue to blame Pakistan about insurgents in North Waziristan. This is exactly what the US Army did after their failure in Vietnam when General Westmoreland blamed Laos and Cambodia for allowing their territory to be used by the Viet Cong. However the difference is that at that time Nixon was the President, Kissinger was the Secretary of State (a man of great vision and intellect) and Helms was the Director of CIA, all very powerful and intelligent civilians who saw the failure of the army and extracted US out the unpopular Vietnam war which was in any case not in American interest. In contrast today there is a President who is beset with an economy in doldrums, Susan Rice the National Security Advisor and General Petraeus the Director of CIA. Petraeus has come to this post after his military failure as Commander of ISAF and US forces in Afghanistan. Furthermore, Panetta has moved up from head of CIA (after the failure of CIA in Afghanistan) to the post of Secretary Defense. True to form to cover up their dismal failure in Afghanistan both militarily and politically the Pentagon and CIA are now blaming Pakistan. One would like to ask Mr. Panetta as to what his CIA was doing while the Taliban traveled from the so called ‘bases’ in North Waziristan to Kabul travelling about 200 Km in Afghanistan? Why were they not interdicted while they travelled 200 Km with the weapons, ammunition, explosives and their other gear? How and from where they acquired the vehicles they used in the attacks? The fact is that the Taliban are very much based in Afghanistan where they have popular support which provides them with safe houses, stores for weapons, transport, ammunition and explosives which interestingly are all of US origin. 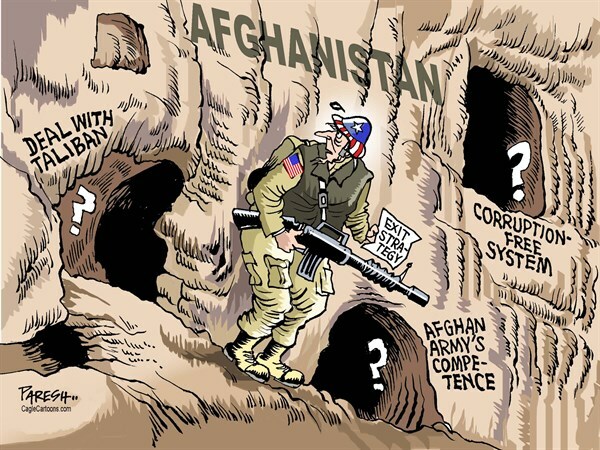 It is time that the US accepts the facts and faces the hard truth that their thirteen year war in Afghanistan is a total failure both politically and militarily. The nationalist Islamic Taliban is stronger than in 2001 and the Americans have not been able to win the hearts and minds of the Afghans. Their attempt to split the Taliban through Rabbani ended in his assassination. Taliban have survived over a decade of American onslaught both militarily and politically and today they are stronger and far better organized than they were in 2001. They have the support of over 60 percent of the Afghans. The recent Taliban attacks on the Intercontinental Hotel and on the fortified US Embassy and the twenty two hour firefight in the heart of Kabul was actually their message to the Americans to prove and demonstrate their presence and support in Kabul. It is time the US exit Afghanistan with an understanding with the Taliban rather than blaming Pakistan or ISI. According to the survey taken by Pew Research Centre of USA only 11 percent Pakistanis had a favourable view of USA that is 89 percent Pakistanis were opposed to USA. It is significant that this survey was taken before Salala attack it must have significantly increased since then. The recent threats to Pakistan by top American officials have to be taken most seriously by us. It would be disastrous to take them lightly and consider it an effort to just put pressure on us to take action against loyal Pakistani citizens in North Waziristan. It is speculated by some that there is a very strong view that if a decision is taken to act according to American dictate there is a possibility of a split in the forces. One needs to evaluate if this is the American’s real intention because this could provide them an excuse to act against our nuclear assets. One US think tank has recently proposed the development of a US-Indian nexus for this purpose. Pakistan finds US obsession with our nuclear security sinister especially in view of their silence on Israel’s nuclear assets. The people of Pakistan are firmly behind their Armed Forces. Every political party is united in its resolve to stand firmly against those American dictates which are against our national interest. The people of Pakistan know what their national interest is and we do not need American advice on this matter.